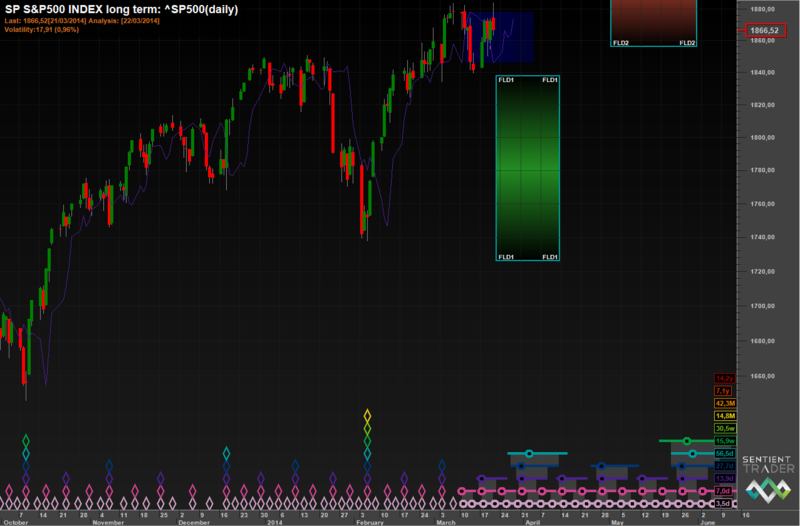 I’m currently on extreme alert due to a potential major, major top is forming in the US markets. 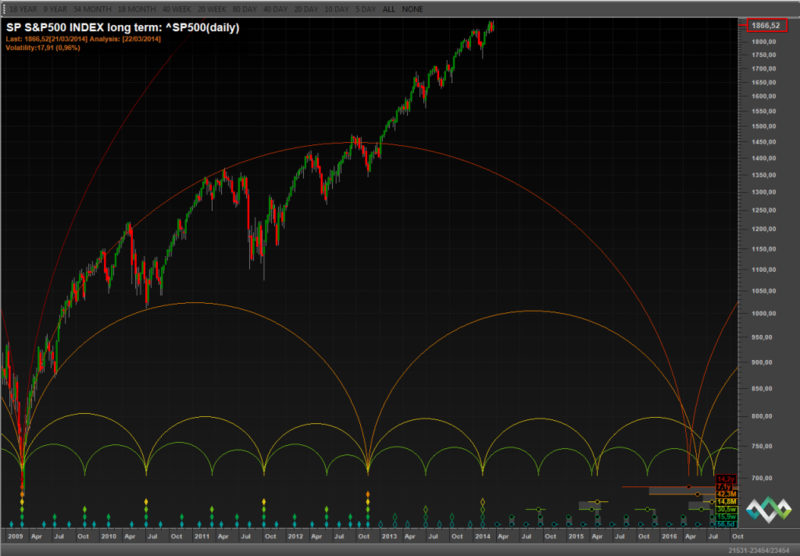 For illustrating this vision I enclose a long term picture of the SP500 in a monthly basis. In this model it is assumed that cycles are running short in the last years but it seems to fit perfectly with the market action. Finally, here us the most recent action, where we must focus on what it is important for us, the 80 day cycle and the 20 day FLD interactions. In my opinion, we have passed the 40 day cycle last 3th of march, and that we have seen a G interaction…. If all of this stuff is correct, I’m preparing for a quite bearish week next. My passion for market analysis was born 25 years ago when I started to work at a bank's trading desk, which I did for 8 years. Since then I have never disconnected from the markets but have been involved with varying intensity. I define myself as a serial entrepreneur, launching different start ups, together with my closer colleagues, in areas like dot com business or R&D in energy efficiency. In 2009 I started to trade markets as my principal task, in early 2010 I discovered Hurst and Sentient Trader's "academy". 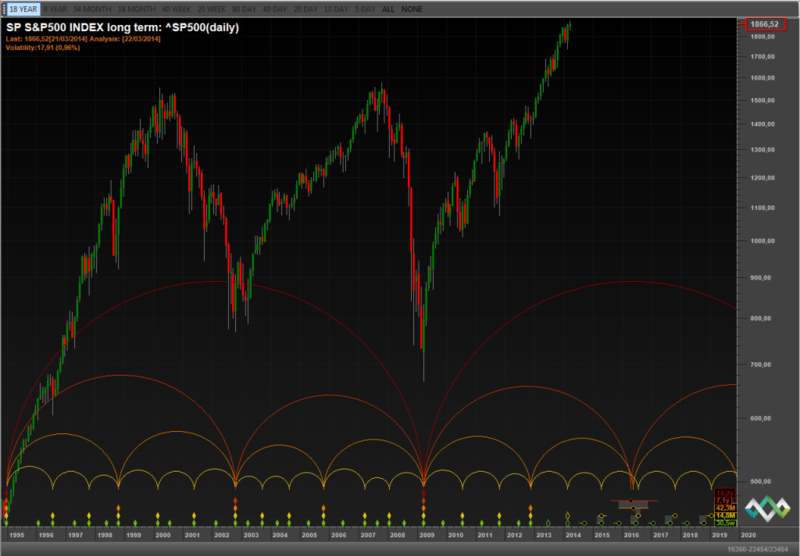 Since then, cycles and trading have become my way of living!